[Fang Xinghai, Vice Chairman of China Securities Regulatory Commission: Maintaining the normalization of new shares and improving the expectation of listing and listing] Fang Xinghai, vice chairman of the China Securities Regulatory Commission, said at the 5th World Internet Conference Financial Capital and Internet Technology Innovation Forum that he will continue to maintain new shares. Normalize the issuance, reform and improve the stock issuance system with information disclosure as the core, and further improve the predictability of the company's issuance and listing. The CSRC is rapidly implementing the requirements for establishing a science and technology board and pilot registration system on the Shanghai Stock Exchange, providing a good capital market environment for the growth of innovative companies such as the Internet, and providing more high-growth listings with investment value for the capital market. the company. On November 8, Fang Xinghai, vice chairman of the China Securities Regulatory Commission, said at the 5th World Internet Conference Financial Capital and Internet Technology Innovation Forum that he would continue to maintain the normal issuance of new shares, reform and improve the stock issuance system with information disclosure as the core, and further Improve the predictability of the company's listing and listing. The CSRC is rapidly implementing the requirements for establishing a science and technology board and pilot registration system on the Shanghai Stock Exchange, providing a good capital market environment for the growth of innovative companies such as the Internet, and providing more high-growth listings with investment value for the capital market. the company. Fang Xinghai said that in recent years, a large number of innovative information technology enterprises have emerged in China, playing an important role in deepening supply-side structural reforms, providing new growth momentum, and promoting the economy towards high-quality development. 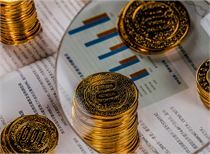 The China Securities Regulatory Commission attaches great importance to the development of the Internet industry, continuously deepens reforms, gives full play to the important role of the capital market in resource allocation, and promotes the innovative development of Internet companies. 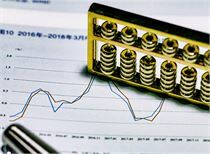 The CSRC firmly promotes the construction of a multi-level capital market system, such as maintaining the normalization of new share issuance and increasing financing support for enterprises. In recent years, the phenomenon of IPO “blocking lake” that has plagued the market for many years has been eliminated. Eligible IPO corporate audit cycles have been significantly reduced from the past three years to less than nine months, and the predictability of corporate listings has increased significantly. From 2017 to October 2018, a total of 528 companies were listed through IPO financing, raising a total of about 355.4 billion yuan. 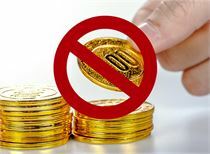 A total of 409 enterprises completed refinancing during the same period, and the total amount of funds raised was approximately 1.12 billion yuan. 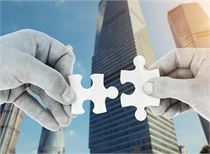 The CSRC continued to promote the market-oriented reform of mergers and acquisitions, and played a leading role in the high-quality development of the economy by the merger and reorganization of listed companies. From 2017 to September 2018, the transaction amount and the number of single-chip mergers and acquisitions of listed companies were 3.67 trillion yuan and 5765 yuan respectively. The CSRC supports small and medium-sized enterprises to land in the New Third Board market and regulate development through listing financing, mergers and acquisitions and other means. From 2017 to September 2018, the New Third Board Company raised approximately RMB 181.2 billion through the issuance of stocks, and carried out 152 major asset restructurings with a transaction value of RMB 20.3 billion. In addition, domestic and overseas markets are more closely linked. From 2017 to October 2018, a total of 24 companies raised HK$1,483 million through H-shares, and 32 companies refinanced HK$194.3 billion through H-shares. In particular, the “full circulation” pilot of the H shares of the three companies was successfully completed in the first half of this year. Currently, specific plans for expanding the pilot enterprises are being evaluated, and the financing support role of enterprises and entrepreneurs in the H-share market is further amplified. The CSRC will continue to adhere to the fundamental direction of serving the real economy, deepen reform, expand openness, improve the system, continuously improve the efficiency of capital market service innovation enterprises, and promote the healthy growth of the capital market in the process of promoting economic innovation and development. 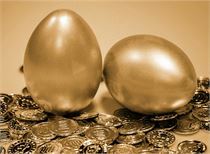 The first is to deepen reform and promote the function of the capital market to play a better role. We will continue to maintain the normal issuance of new shares, reform and improve the stock issuance system with information disclosure as the core, and further improve the predictability of the company's issuance and listing. Deepen the market-oriented reform of mergers and acquisitions, encourage and support listed companies to rely on mergers and acquisitions to refine and strengthen. 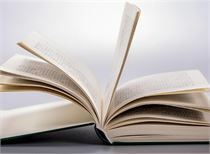 On the basis of the “small-volume” review mechanism, the “division system” audit is implemented according to the industry and is applied preferentially in the high-tech industry. On the basis of the successful completion of the pilot, the H-share company with full H-share circulation and qualified conditions can be fully applied as soon as possible to apply for full circulation to facilitate the overseas listing of domestic innovative enterprises. The second is to expand openness and continuously introduce long-term overseas funds and institutional investors. 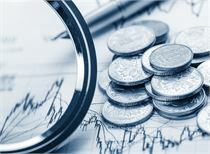 Do a good job in the follow-up of A-shares into the Alum and FTSE Russell Index, continue to improve cross-border trading arrangements, optimize the exchange interconnection mechanism, respond to the concerns of foreign investors in a timely manner, and facilitate the expansion of A-share allocation by long-term overseas funds. We will vigorously support foreign-invested securities and futures institutions to establish legal entities in China and engage in asset management business. The third is to strengthen supervision and create a good market order and financing environment. Strengthen the supervision of corporate IPO, refinancing, mergers and acquisitions, and bond issuance, and enhance the guidance and binding force of the securities market to corporate finance. We will continue to crack down on illegal and illegal acts such as fraudulent issuance, false information disclosure, insider trading and market manipulation, maintain a fair market trading order, and protect the legitimate rights and interests of investors. A-share big tear: two research reports will fly 2.32 trillion left or right? The three financial sectors of A-shares evaporated 651.5 billion! In the end, I saw the northward funds sweeping the goods. This year, the National People's Congress will implement the real estate tax law. How far is it from the levy? The chip sector has pushed over 6.5 billion yuan in the market, and 7 leading stocks have been recommended by the institutions. The market fell sharply. Don't laugh at the fundamentals again! Eight daily charts of A-shares: brokerage stocks are raging, foreign capital is retracing! Seeing more PK watching the air faction, even hit the group? From today, the bearish Chinese will fall by half. You can only choose one trend next Monday! Demonstrate repeated warnings, faltering and falling. Don't worry about a rebound next week! Adjustments are on schedule! Where is the index going next week? July red dress to force the screen to play clicks scam is really too low! [stock] Where is the next support after the Shanghai index is 3000 points? How far is the real estate tax landing?